Timber frame makes an impact that’s built to last! • Exposed timbers look fantastic and perform superbly. • Traditional craftsmanship is timeless. 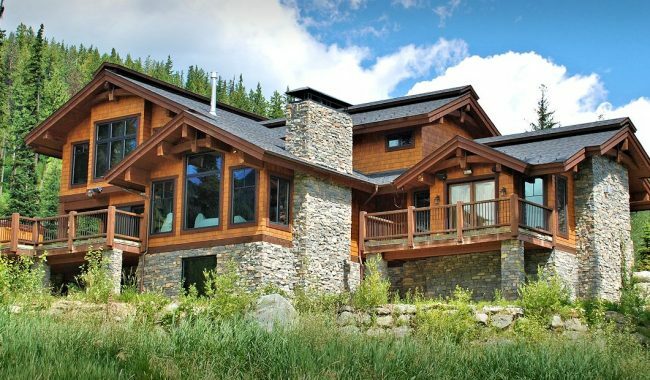 Some timber frame construction is fabricated with modern machinery, yielding sleek and polished results. On the other end of the spectrum, the use of reclaimed timbers from abandoned barns or railway trestles adds rough texture to new projects. Our timber frame is built from timbers custom milled on site out of premium logs. It’s crafted in traditional methods using hand tools. It’s refined but rugged. Timber beams add character to any room but the functional, load bearing timbers of timber frame construction are not only beautiful; they are tremendously strong as well. Timber beams and trusses are more than just attractive with their handcrafted joinery and individual design. The various angles increase the strength and support of your home–and they look good doing it! What do you notice first about a house? 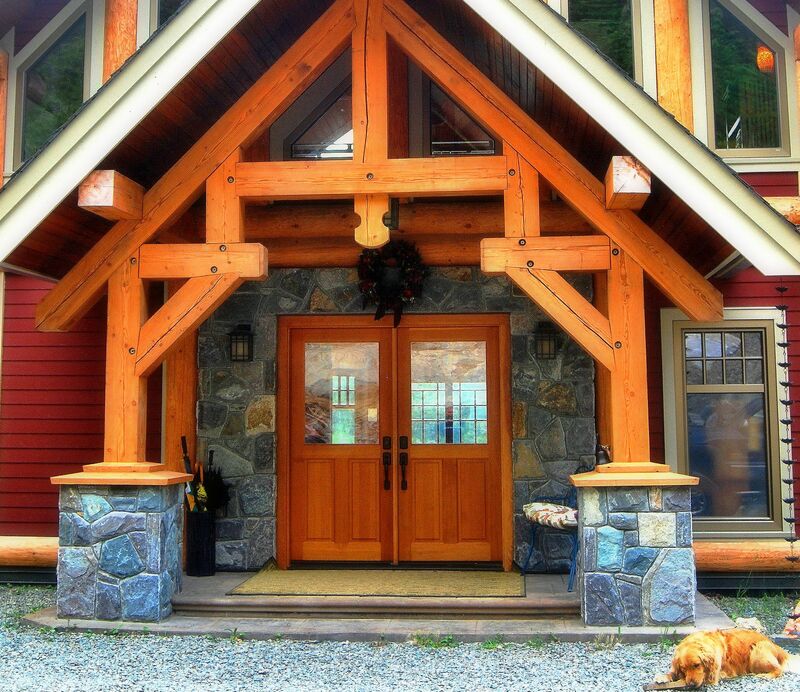 Timber accents and entry details make a powerful first impression. Choosing custom milled timbers visible on the exterior of your home set it apart from other houses in your neighbourhood. It’s here that many home owners make the mistake of trying to achieve this look with applied wood work that’s too small or flimsy. Only real timbers give you the rugged look you want. Adding something extra to your property? 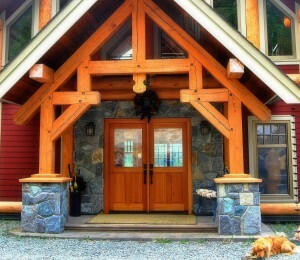 Custom timber frame designs are a natural choice for detached structures. From gazebos, garages, pool cabanas or pergolas, dignify any space with handmade timber work: get the shelter you need with the timber look you love! Timber frame works hard to make the most of your exterior living spaces, encouraging a natural transition from inside to outside. Covered patio areas and porches, are the perfect place to enjoy timber craftsmanship…while you relax and appreciate its strength and beauty. We provide custom milled timbers and timber joinery hand made from premium timbers by experienced craftsmen. Contact us today to talk about your timber frame ideas!